Yakuza - What is it?. Where do I Begin? So I just recently became interested in the series but with all the remakes and remasters and names I am confused. Well I'm new to the series too, I just picked up Yakuza 0, which is a prequel that just came out. So as far as I know, this is the best place to start! I think Yakuza 0 is a good way to start, that's what I'm doing right now. After that you could play Yakuza 1 on PS2 but that one has english voice acting which did put me off back then already, so I'm glad we get Kiwami which is a remake of it. After that you can play the series in numbered order 2-5 with 6 coming out next year. Yakuza 3 has a video explaining the plot of Yakuza 1 & 2. Yakuza 4 does the same thing for 1, 2 & 3 i believe and i don't know about Yakuza 5 but you can pretty much start anywhere. Yakuza 0 is probably a good place to start but the Yakuza games are really long...0, 3, 4 & 5 is gonna take you a while. If you like it, then Kiwami (a remake of Yakuza 1) comes out this summer. @TokyoSlim I feel like there was supposed to be more to your post. @Musou-Tensei Yakuza's English dub is amazing. Much like Ichi the Killer's dub, the insanity of it is what makes it so great. 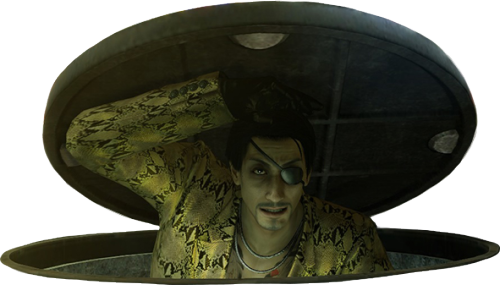 Hamill as Majima? Brilliant. I posted a tweet from the official Yakuza twitter, with a link to a graphical timeline/video catch up but for some reason they deleted the tweet. I'm not sure if I wanna do the Yakuza 0, Yakuza Kiwami, then Yakuza 6 jump or maybe play them throughout the year or just watch recaps from Yakuza 2-5 online. Is this interactive comic for the entire series plot or just Yakuza 1? I ask because I intend on beating Kiwami before March and don't want anything spoiled. @DIPSET The comic is kinda weirdly parsed and spoilery. Was talking about the interactive timeline, which so far is a recap of major plot points and cutscenes from Y0 through Y3 by year. I think the plan is to have it caught up by the time 6 comes out. In my own personal opinion, playing all of the Yakuza games in sequence "throughout the year" at this point is kind of insane anyways. I mean - I started playing at 4. Went back to 3, then did 1 and 2. Then did Zero and just finished Kiwami last week at like 65 hours (so 1 again) but that's been like 3 or 4 years or whatever. Still haven't even started 5 yet. Own it, but don't have a PS3 anymore. It's another 100+ hour game. I'd be playing that until August. I honestly see nothing wrong with finishing Kiwami, watching a bunch of recap videos, and then playing 6, then going back for Kiwami 2 next year or whenever that drops. It's probably better than trying to play through 5 Yakuza games in a year. Best response I could have. Thanks Tokyo! Is it true Yakuza sequels have recaps of the prior games? Cause maybe I can just watch the recaps when Yakuza 6 comes out. @DIPSET Yep. Grab some popcorn. @DIPSET I know that 4 had recaps, but I don't remember 5 having them. Happy 54th birthday to the Mad Dog of Shimano himself, Goro Majima! Kiwami 2 Demo is fun. Can't wait to dig into the emotional rollercoaster of the full game. I use a cheap yet affordable internet service and since moving into my new place, this has been the longest 7 days knowing I'm missing the Kiwami 2 demo and I also wanna watch Thrasher King Of The Road. They couldn't get a technician in for 8 damn days from the time I called them.